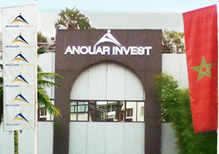 After becoming essential in Morocco, Anouar Invest pursues the goal of weaving a web at the international scale, in various fields of endeavour. The holding is headed by El Hachmi Boutgueray. The Group is today at the second position in the food industry in Morocco, with 3,500 employees, of which 2,300 women. Historically, the Group has developed in the Food industry, before massively investing in other industries, such as the real-estate, the distribution and logistics, building materials and agriculture. 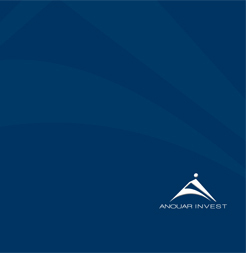 Its expertise and innovative spirit make of Anouar Invest a reference actor with an ever-growing international presence. For more than two decades, the Group follows an ethical and responsible approach, strengthening its image of a company committed to good citizenship.